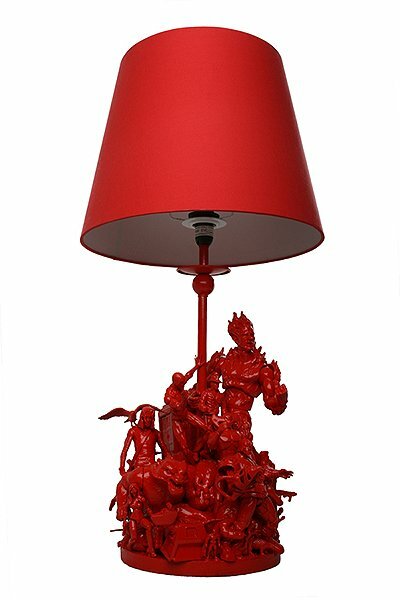 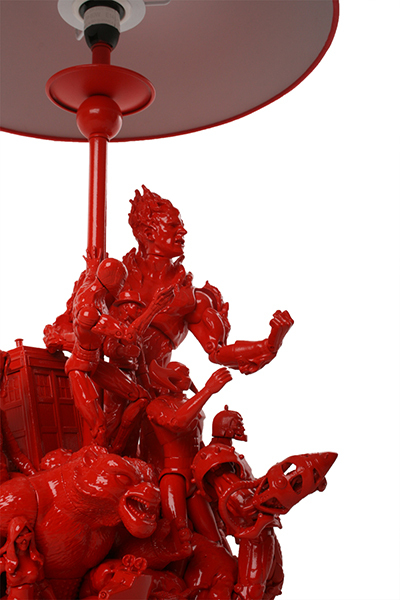 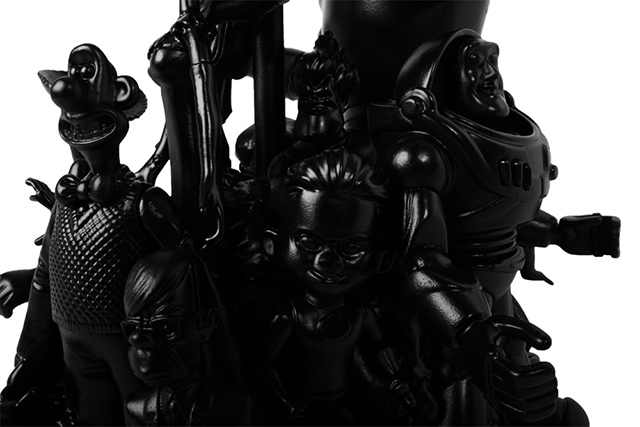 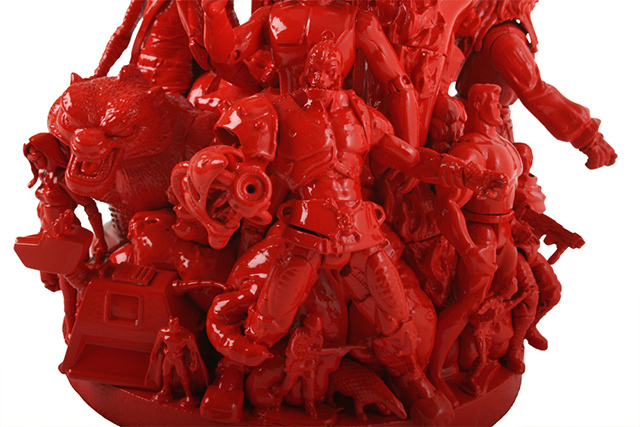 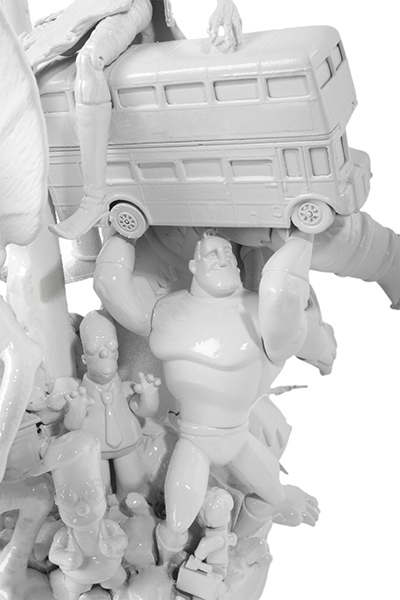 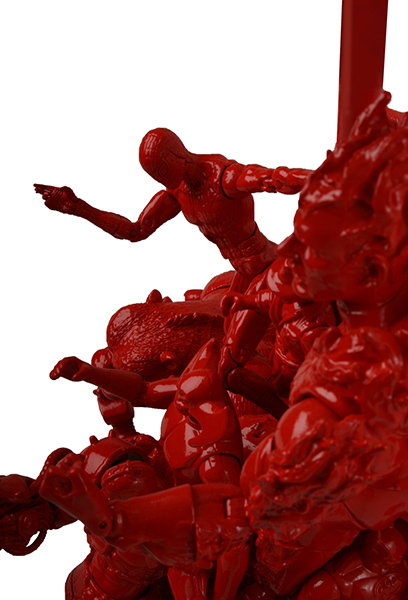 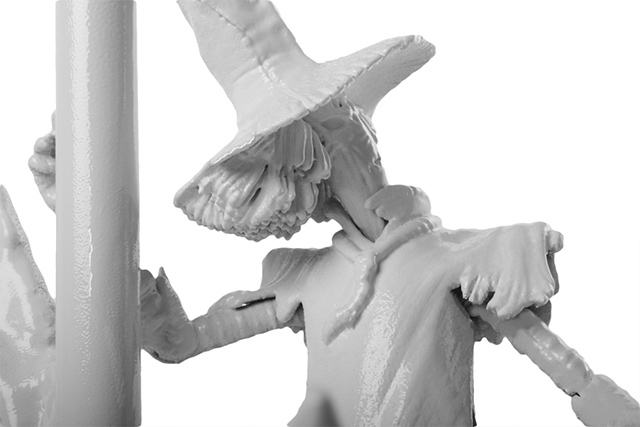 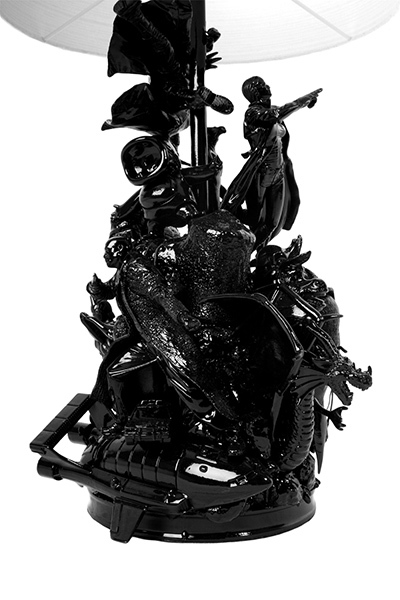 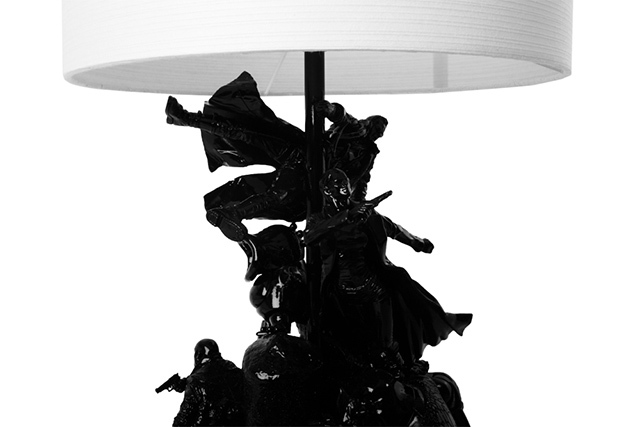 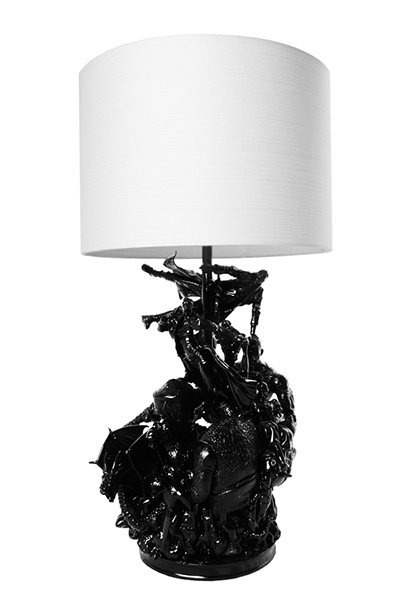 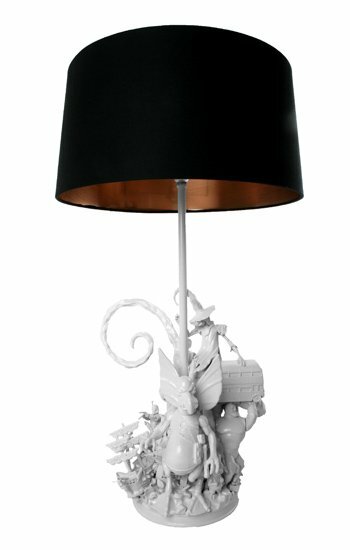 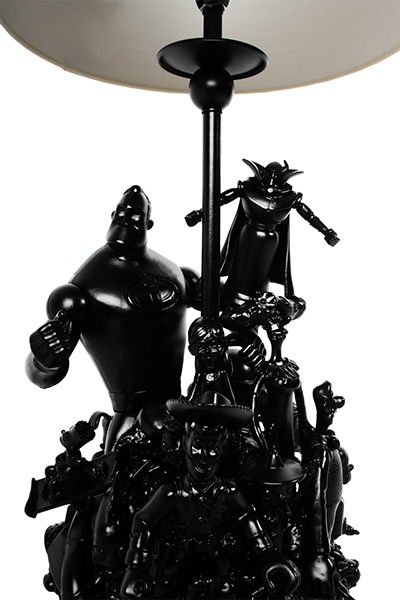 Arresting lamps with bases sculpted from old toys and action figures. 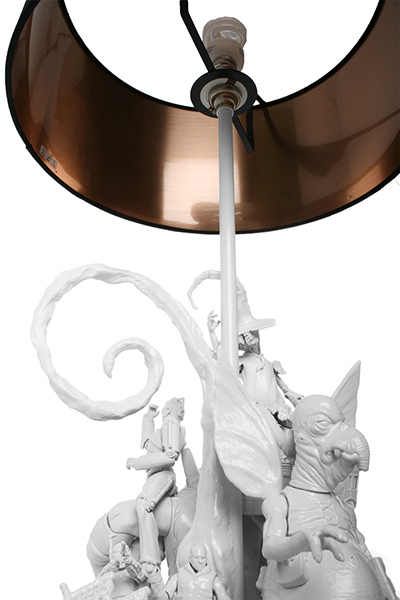 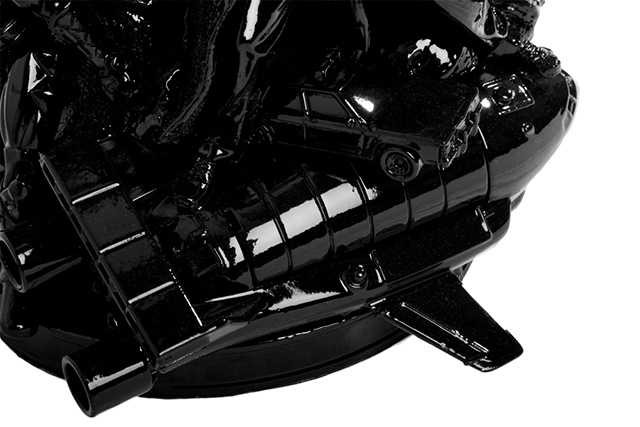 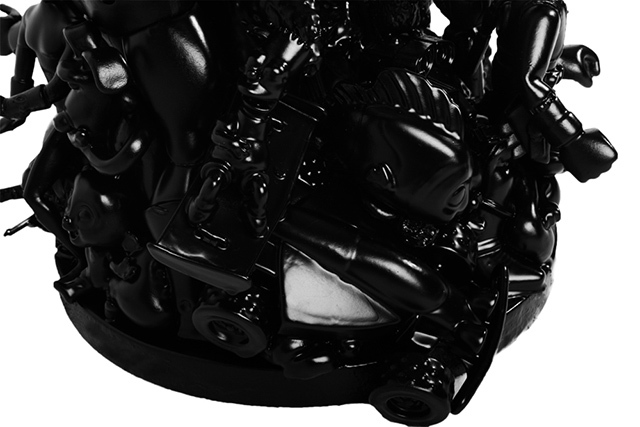 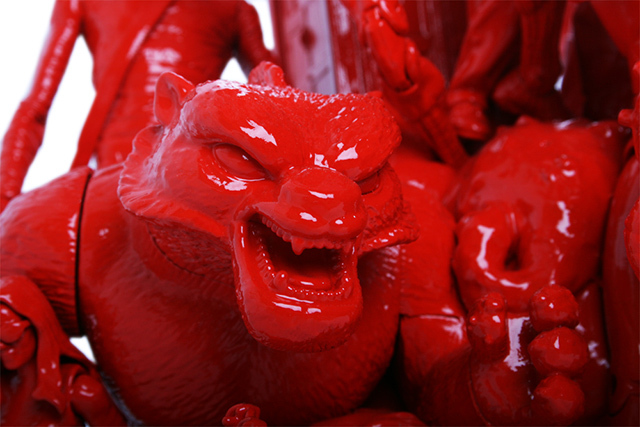 Each lamp is given a monochrome coating and a high gloss lacquer. 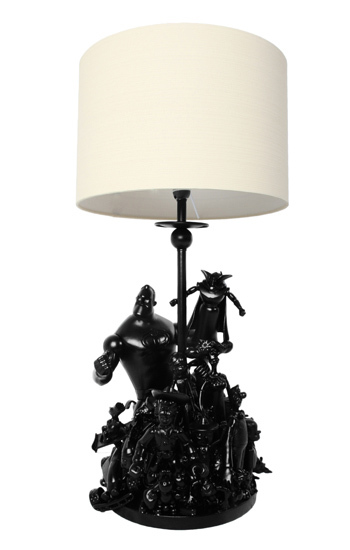 You can also have your own toys converted into lamps.